Quinn Sullivan has been a music professional for more than 75 percent of his life. 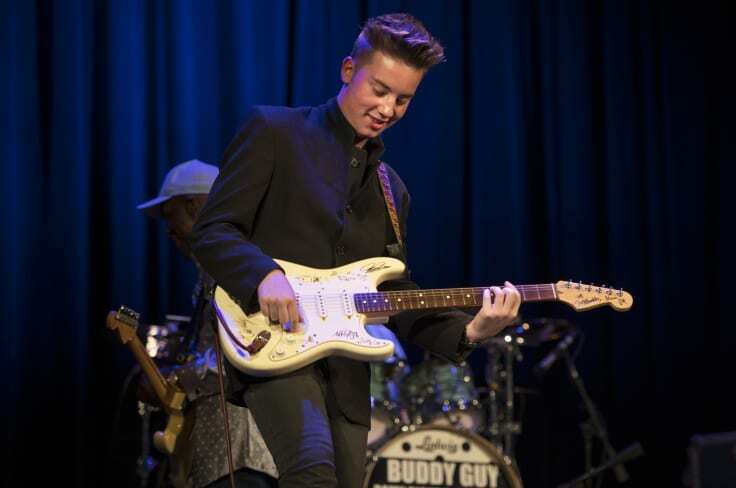 He’s shared the stage with many of his heroes including Buddy Guy, Carlos Santana, and Joe Bonamassa, as well as BB King, Billy Gibbons, and Los Lobos. He has performed on concert and festival dates throughout the United States, Canada , Europe, as well as Asia and South America – including at storied venues like The Hollywood Bowl, RFK Stadium and Madison Square Garden, traveled overseas performing at both the Montreux Jazz Festival and India’s Mahindra Blues Festival – He’s also appeared on national TV, with guest appearances on The Tonight Show with Jay Leno, Oprah, Late Night with Jimmy Fallon, Conan and twice on The Ellen DeGeneres show. The album was recorded primarily at Nashville’s prestigious Blackbird Studio with some of the greatest players in Nashville, including many of the same musicians who played on the Buddy Guy albums that Hambridge produced. These include bassists Michael Rhodes and Tommy Macdonald, guitarist Rob McNelley, and keyboard player Reese Wynans, a veteran of Stevie Ray Vaughan’s Double Trouble.